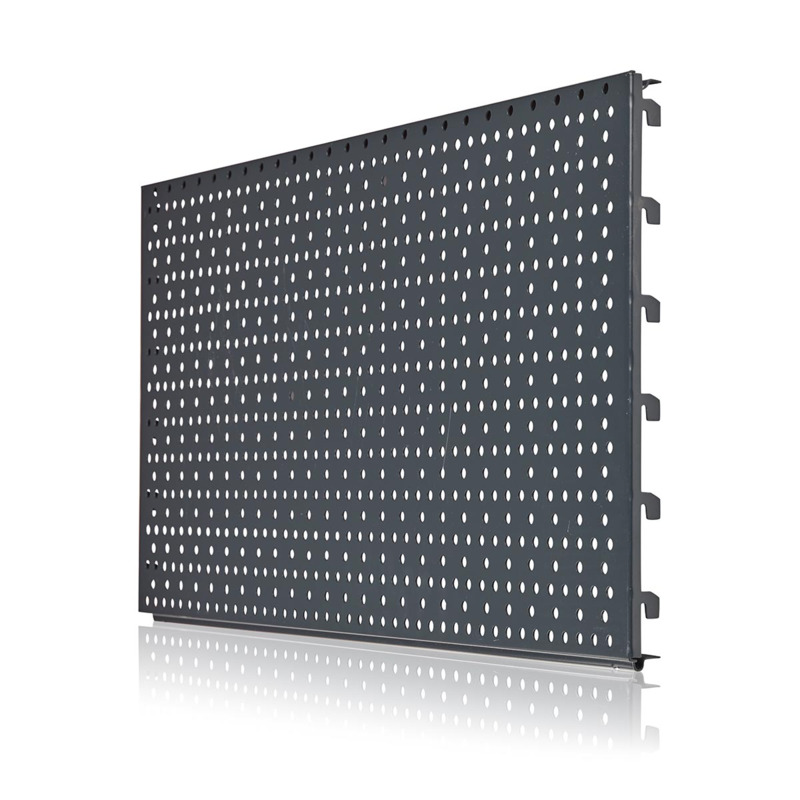 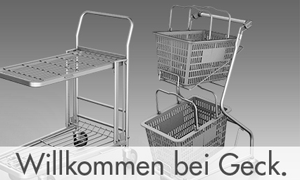 Perforated back panel suitable for construction of storeshelves gondolas. 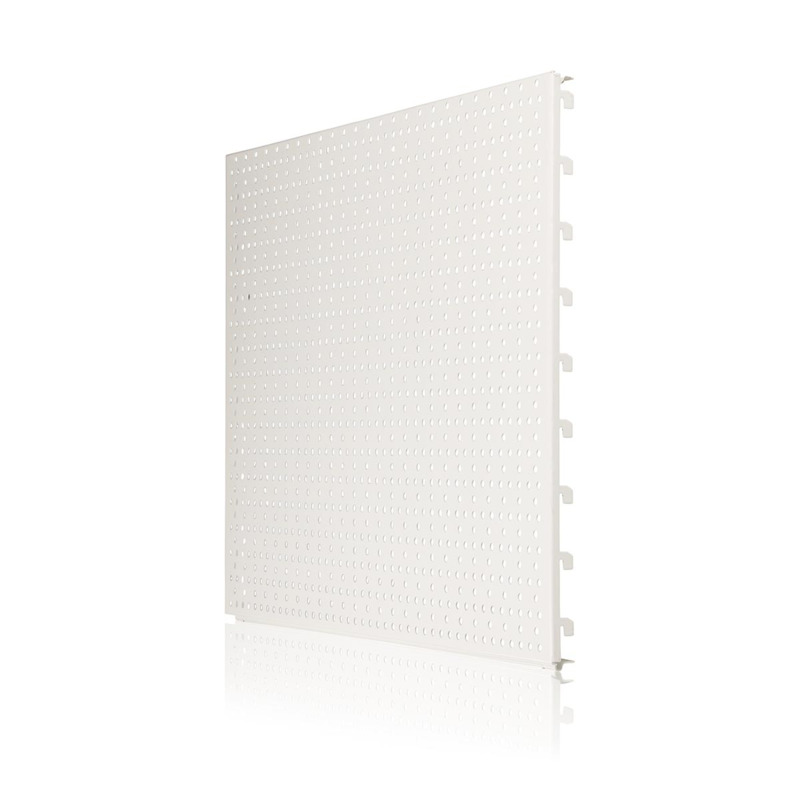 On this back panel can be hanged many types of item hooks for pegboards, various metal sheets shelfs or wire shelfs. 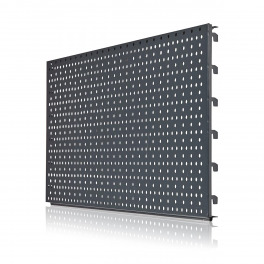 The total number of perforated back panels on a storeshelving system depends on the height of the upright column.